Tonite I created a layout with my very first Prima doll stamp. I chose one that I thought looked elegant and then went through my Winterthur photos and found the beautiful winding staircase. I also used sketch #2 from Soul Scrappers - my first entry for that site. That challenge is all about negative space...this is about as much negative space as I ever do. I used a beautiful color combo from Sketches4All. 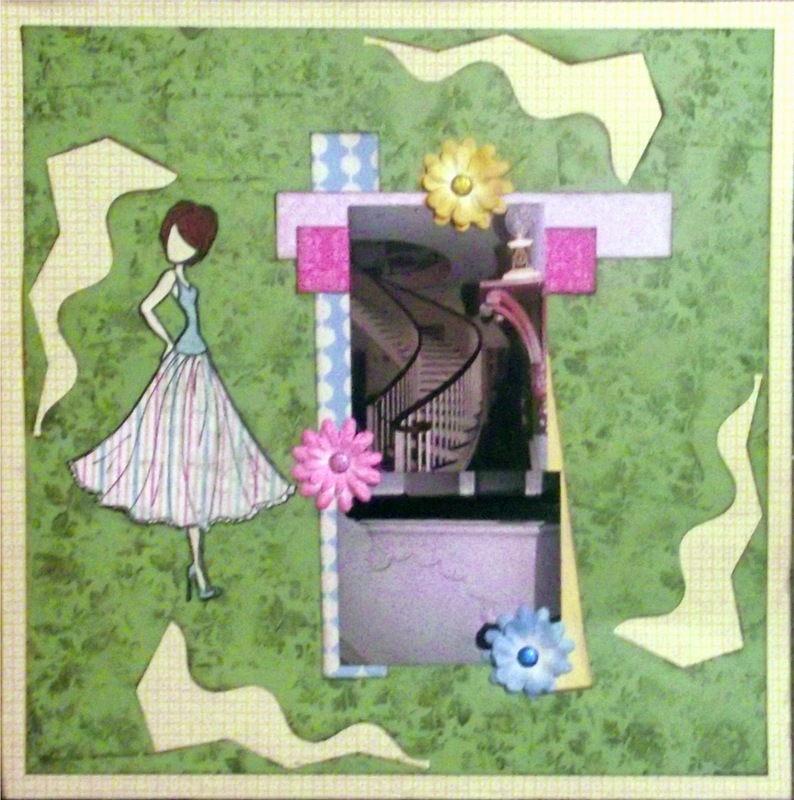 I am also entering this over at Flying Unicorn May Paper Doll Challenge, and at My Mum's Craft Shop challenge #17 - Lots of Layers, and Divas by Design current challenge - Anything But a Card.